Time for another round of Yvo’s Shorties! This time around shorties of two short reads and ARCs. 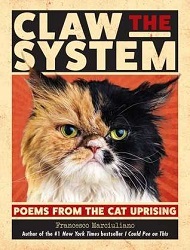 The first, Claw The System, is a poetry bundle full of cat photos and funny cat poems and phrases. The Lying King is actually one of the first picture books I’ve read this year, but sadly didn’t reach its potential. As a so-called crazy catlady and the proud owner of two cats, I was immediately intrigued by this title. The blurb sounded like my kind of humor as well, so I was sold. Claw The System is a title that will speak to any cat lover in general and will show many situations cat owners can relate to. Poems From The Cat Uprising is divided in parts, each related to a different step of the ‘uprising’. There are many many cat photos to enjoy, most of them related to the text or poems, some funny and others simply beautiful. I would have liked to see more ‘cat’ perspective in the poems, but I still had a blast reading this title. There are definitely a few very funny moments included in Claw The System, a dry and sarcastic kind of humor I personally really appreciate. If you are looking for a book to make you feel better, a bunch of cat photos to look at or are simply curious about what might go on in your cat’s mind: Claw The System is without doubt a very entertaining choice. One of my goals this year has been to try and read more children and MG reads, and this picture book somehow managed to grab my attention when I first saw it. 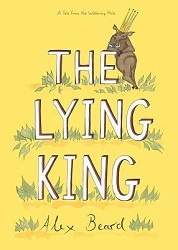 Between the clever title and the blurb I was fully intrigued by The Lying King, and I have been looking forward to pick it up. Unfortunately it wasn’t quite the reading experience I was expecting. While I like the simplicity of the cover, I don’t think the same style works as well for the picture book itself. I personally found the illustrations too simple and bare; there is a lot of white on some of the pages and I don’t think it will be all that attractive for children. As for the story: the idea behind The Lying King is clever and it has a strong moral message. 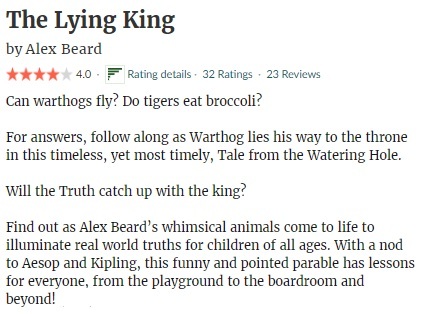 As you might have guessed, the message is that lying is wrong and lies will only come back to haunt you… As shown in the case of the lying warthog king. Still, I don’t think that children will actually be able to pick up on that message from reading this story. I felt that it was told in a too ‘adult’ way to be able to actually work as a way to teach children not to lie. All in all sadly this picture book didn’t reach its potential for me. 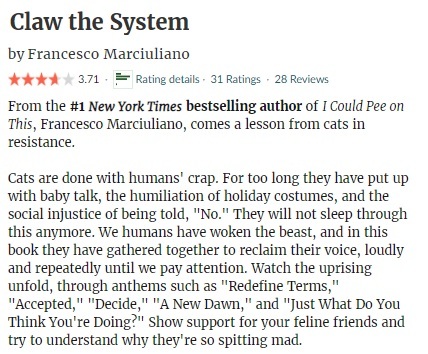 This entry was posted in 2018, 3 Star Rating, ARC, Book Reviews, Netgalley, Yvo's Shorties and tagged 2.5 star rating, 4 star rating, alex beard, arc, book review, cats, children, claw the system, fable, fiction, francesco marciuliano, humor, Netgalley, picture book, poetry, published in 2018, the lying king, Yvo's Shorties by Yvo. Bookmark the permalink.